To come in for your first visit, please make an appointment. Due to our busy schedule, we do not take walk-ins. For your first visit, you will be given some forms to filled-out. Please provide detailed and accurate information so we can understand your needs and conditions better. Bring your latest test result and imaging report if you have them. If you are taking prescription medications, please also write down the names of the drugs and their dosage. We will go over the information you provided and proceed to interview you about your medical history. After we understood your medical conditions and needs thoroughly, we will discuss possible treatments and treatment plans. Only with your consent, we will then proceed to actual treatment. For patient safety, we can only answer your medical questions after proper examination and evaluation. The receptionists can only answer basic questions about our clinic policies. Please reserve your medical related questions until your actual appointment. We will gladly bill your insurance company for you. Each insurance plan has different coverage for acupuncture. Your plan may or may not cover all or part of your treatments. Therefore, we expect your payment at the time of service. If your plan has coverage, it will reimburse you according to your policy. To learn more about verifying your insurance benefits, click here. For more details, please call our office. You can pay with cash, check, credit card, debit card, HSA card or FSA card. We believe in helping people who are making our community a better place. Fire fighters, public school teachers and people who work full-time at certain non-profit organizations are qualified for a 10% discount. Nurses and other healthcare professionals are qualify for 5% allied health discount. If you are qualified, please let us know. The best acupuncturist I’ve ever been treated by! I’ve been going to acupuncturist for over 20 years now, experiencing the work of more than 10 different specialists. Victor Cheng and Sewon Kim are very special. They give me full confidence in their knowledge of the human body – what my ailments and injuries are and how to treat them. 6 weeks ago I was in a bicycle accident and broke my collar bone. I also caused severe damage to my shoulder and upper arm. 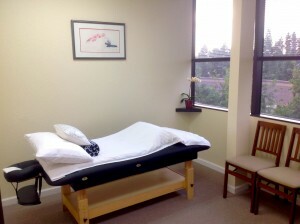 I immediately began acupuncture and physical therapy with Victor Cheng. I was told by my Kaiser doctors that I should expect 8-12 weeks recovery with 4-6 months of physical therapy after that. Well, it’s been 6 weeks now and I am at 80% mobility and feel improvement every day. Victor and Sewon’s treatments have produced incredible results AND WITHOUT MEDICATION. Victor has also prescribed Chinese herbs for my digestion and overall body balance. I was never big on herbal remedies, but I am now a believer and feeling healthier than ever. THANK YOU Victor Cheng! A little over a year ago I realized that I had a severe digestion problem. I went to my “normal” Doctor to see what the problem was. After spending 8 months visiting different specialists, running loads of tests, no one in my normal healthcare system could come up with any answers. The best I ever received was try doing different things and continue doing what seems to help…I pay them how much to say that? I eventually gave up and tried a homeopathic practitioner. After 4 months of their “gut rehab” I saw no improvements. At wits end, I decided to try TCM. After a quick search I found Dr. Sewon Kim and Victor Cheng’s office and made an appointment. I did not know what to expect, as I had never had personal experience with TCM before. I had visions that TCM was some sort of witchcraft or magic, with no real science behind it. How quickly I was put into my place! My initial visit with Dr. Cheng was extremely encouraging. Dr. Cheng not only knew exactly what symptoms I had (after listening very carefully, he was able to ask if I also had such-and-such occurring. Which I did but forgot to tell him.) but he also knew the name of the condition! Since that very first day several months ago, I have seen a very steady improvement and I am very thankful to him. He continues to listen carefully to what my current state is, how my past week has been and treats accordingly via acupuncture, diet and herbal teas. If you are scarred of needles, as I am terrifically, there is no need to fear acupuncture. Dr. Victor started me off slowly with few needles (which I actually didn’t even feel) and progressed to more as I got used to it. I am completely sold on TCM now. It is not some type of supernatural healing as I initially thought. It is just what it says, proven traditional methods of healing as used in China for thousands of years and Dr. Cheng and his wife do a fine job! Both Victor Cheng and Sewon Kim have treated me. They obtained superb education in traditional Chinese medicine in Shanghai. Well qualified to treat a wide spectrum of health issues, they have compassionate hearts and caring attitudes that complement their medical abilities achieving good outcomes. You will be glad you went to them for treatment. Dr. Cheng and his wife are very thorough in their diagnosis and assessment of ailments. Because they take their time in developing a suitable treatment program to cure the *root* of ailments rather than just treat the symptoms, one has to be patient as the treatment cycle progresses. The Doctor adjusts the treatment accordingly as the patient improves and is able to more rigorous medication and treatment. Dr. Cheng’s herbal prescriptions work well for me and my mother. I have visited Dr. Cheng and Kim with my 2 and half month old baby girl. She had some difficulties to eat and sleep due to a strong reaction to immunization. I have met many doctors both from – traditional or/and wester medicine – and a visit of Dr. Cheng and Kim was one of the most amazing experiences I have had. They were able to calm my baby down by a simple traditional Chinese massage, put her to sleep and teach me how to help her. I was amazed by their knowledge, professionalism and calm sweat attitude that helped me to gain confidence that things will be ok. I have realized again how little I know about our bodies and how we should treat ourselves. Again, they have my highest recommendation and admiration. I can only 100% recommend them!!! I rarely feel inclined to leave reviews on products or services, but I couldn’t pass on the opportunity to let other people know how greatly Dr. Cheng and Dr. Kim have improved my health and my life. Before receiving Dr. Cheng’s and Dr. Kim’s treatment, I was essentially a zombie. Daily tasks, school, and work just seemed monotonous and chaotic. My energy and ability to concentrate were severely diminished. I visited many therapists and doctors and received no relief from my maladies. After recently graduating from college, I had had enough of my poor health and sought to do something about it. A friend referred me to Dr. Cheng, as she was currently being treated by him and emphasized her relief and positive results. Dr. Cheng’s consultation provided me with a concise diagnosis of my condition. Not only did he provide an answer, but also enlightened me on my poor health habits. His expert knowledge of Eastern medicine showed me a different perspective on my health situation and provided me with an explanation to why I was suffering. He prescribed a custom blend of Chinese herbs and acupuncture treatments to attack the CORE of the problem and not merely just the symptoms. Dr. Kim handles the acupuncture treatments. She is an expert acupuncturist and provides a calming energy that allows the patient to easily relax during the treatment; perfect for anybody who is new to experiencing acupuncture. After a month and half of my herbal and acupuncture regimen, I can say that I feel alive again. My energy levels have vastly improved, and I feel that I am making progress everyday. I am amazed at how quickly I was able to see results and improvement; all of it through natural methods. Dr. Cheng and Dr. Kim are world-class doctors. They are kind, caring, informative, and most importantly, they are driven to achieve results for your well-being. I am deeply grateful for Dr. Cheng’s and Dr. Kim’s exemplary service, and I can say that it has been one of the best decisions that I have made in my life.